Vancouver property developers and the local companies that work with them have created a booming global export business. Do they get enough support at home? Ian Gillespie speaks quietly, and he doesn’t do small talk. As a Neil Young live album jangles on the stereo, the slender Westbank Projects Corp. founder sits in a corner of his roomy downtown Vancouver office, North Shore Mountains at his back. 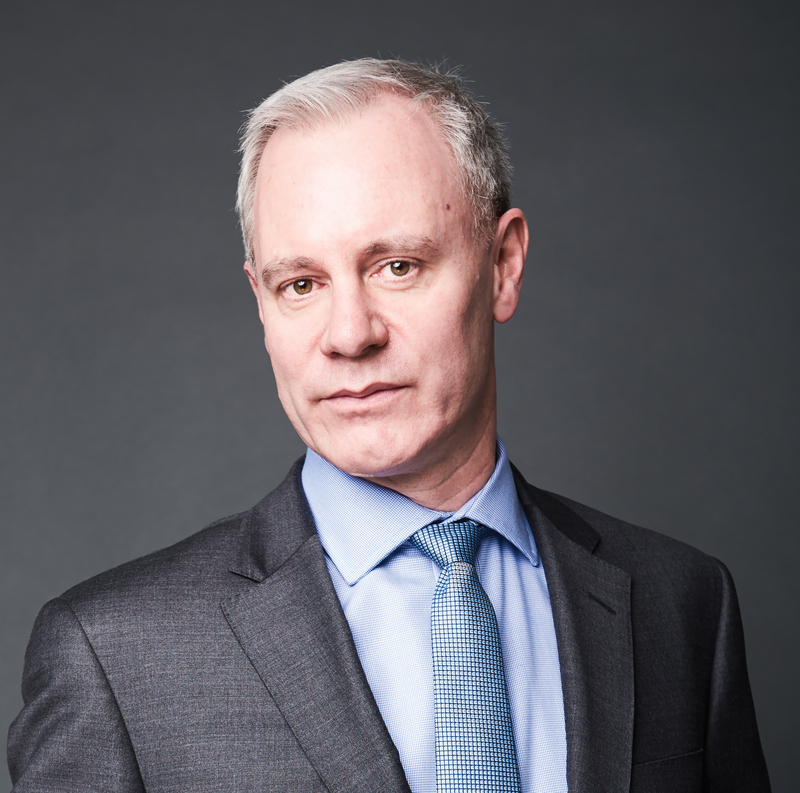 Fine-boned, dressed in jeans and a dark blazer, he looks more like someone from the art world than a property developer. “There does not go a week here where I do not get a mayor of some Asian city coming to my office, wanting to talk about what’s going on in Vancouver and how did we accomplish this and how could that help me over there,” Gillespie says. 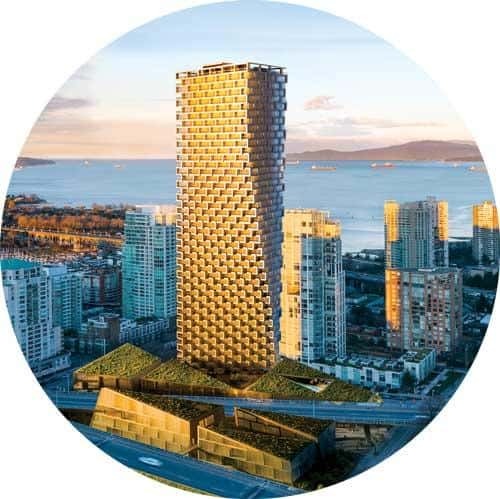 Launched in 1992, luxury residential and mixed-use specialist Westbank is known for local landmarks such as the Woodward’s redevelopment, Telus Garden and the Shangri-la Vancouver hotel. 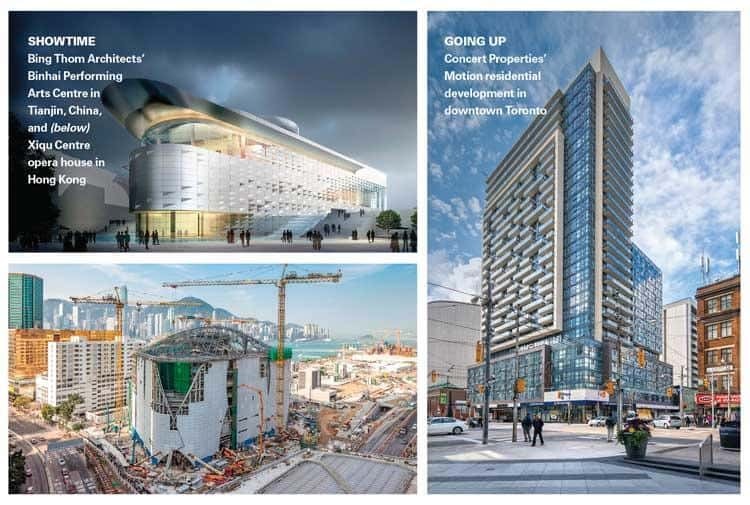 It’s also the force behind Vancouver House and Alberni by Kengo Kuma, daring additions to the city skyline due for completion in 2018 and 2020, respectively. For those two towers, Gillespie is working with leading architects Bjarke Ingels of Denmark and Japan’s Kengo Kuma. Westbank, whose finished and current projects have a combined value of $25 billion, is a global player, too. With 12 offices in Canada, the U.S. and Asia, and 1,500 staff including those at its hotels, the company counts properties in Toronto, Seattle and Tokyo among its works in progress. “We’re bigger outside Vancouver than inside Vancouver,” says Gillespie, who regularly holds art and design exhibits and lectures. Besides developers, those firms range from architects, structural engineers and urban design consultants to model makers, concrete forming specialists and property marketers. With expertise honed by helping to create a new standard for livable, high-density residential developments, often called Vancouverism, they’ve made their mark on cities from San Diego to Dubai to Dalian, China. But this thriving export business mostly flies under the radar back home. Other Vancouver developers with a footprint outside the province include Bosa Development Corp., whose founder, Natale (Nat) Bosa, entered Seattle in the 1970s before expanding his reach throughout Southern California. 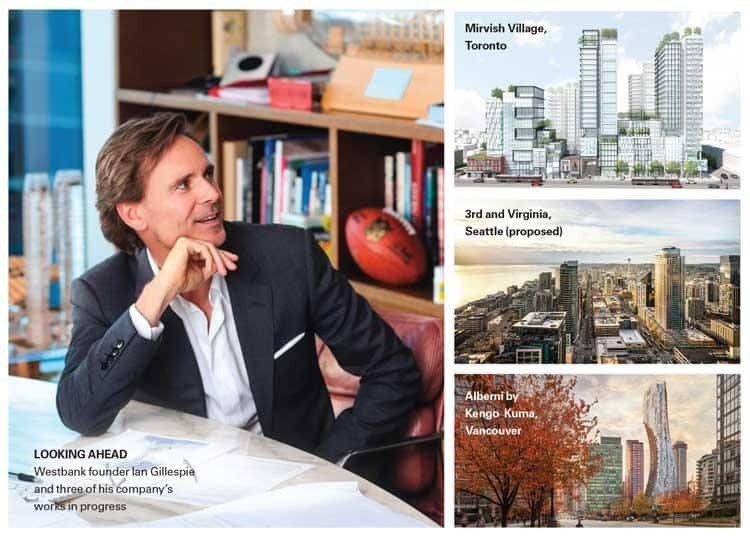 Concord Pacific Developments Inc.—its master-planned community on the former Expo 86 lands became a model for Vancouverism—is working in Toronto, London and Calgary. 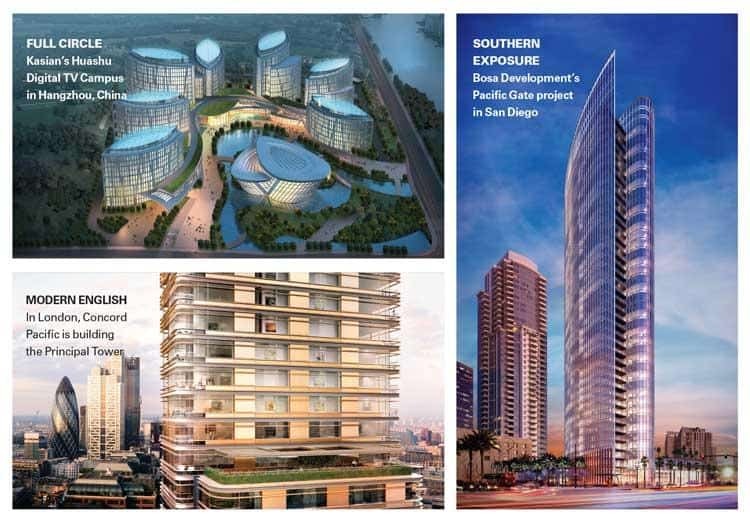 Onni Group is building several major projects in downtown Los Angeles, while Intergulf Development Group is active in Alberta and California. Concord Pacific’s 1988 purchase of the Expo lands made Vancouver a hotbed of property development, says Sid Landolt, co-founder and president of S&P Real Estate Corp., a Vancouver-based marketer of luxury highrises. During the early 1990s, while the rest of North America endured a real estate recession, the city boomed. When things began to improve elsewhere in the middle of that decade, Vancouver was ready to take advantage, recalls Landolt, who has moved into Los Angeles, San Diego, San Francisco, Seattle and Waikiki since he and business partner Peter Dupuis joined forces in 1983. Over the past 25 years the pair, who typically employ 40 to 50 staff at S&P, have sold roughly 25,000 condominiums. 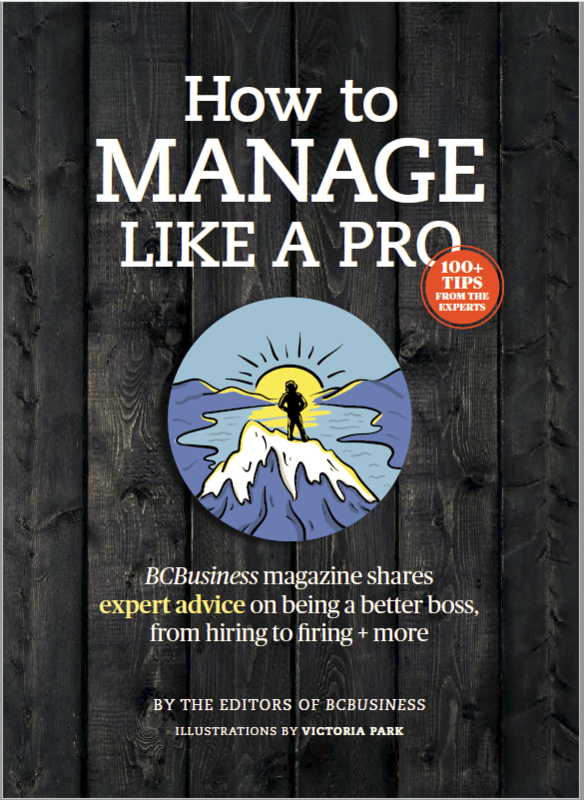 “There was a lack of expertise in other markets and a tremendous amount of expertise in Vancouver,” Landolt says. “That’s when the exporting really began.” This coincided with the rise of developer Intrawest Resorts Holdings Inc., which took skills sharpened at Whistler Blackcomb into ski resorts across the continent, Landolt adds. Bosa first went into Seattle in the late 1970s, when the Vancouver market was soft, explains Weir, who has been with the company for 20 years. He then branched out into Quebec, Hawaii, Oregon and Alberta before entering Southern California in the late ’90s, starting with San Diego. “There are a lot of very sophisticated and well-capitalized developers in the United States, but on the West Coast, anyway, they haven’t had the expertise in the residential highrise condominium space,” Weir says. Today, at least half of Bosa Development’s work is outside B.C., Weir estimates. In downtown Seattle, the company just completed Insignia, two residential towers with a total of 698 units. It’s the city’s first post-recession condo development and one of the largest such projects ever undertaken there, Weir says. Outward Bound: VP Richard Weir estimates that at least half of Bosa Development’s work is outside B.C. Concert Properties Ltd. hasn’t ventured abroad, but it works in Alberta, Saskatchewan and Ontario. The company, which has 225 employees and started out building rental apartments in Vancouver in 1989, went into Ontario in 2001, says president and CEO Brian McCauley. Concert has since built about 2,400 rental housing units in Toronto. The second reason is that many U.S. developers got wiped out in the Great Recession of 2007-09. Canada didn’t suffer the same calamity, partly thanks to the strength of its banking and regulatory systems, Gillespie says. B+B Scale Models’ rendering of the Anaha tower in Honolulu for U.S. developer Howard Hughes Corp.
At B+B Scale Models Ltd.’s cluttered Granville Island studio, Bernd Zwick shows off his company’s exquisitely detailed work. 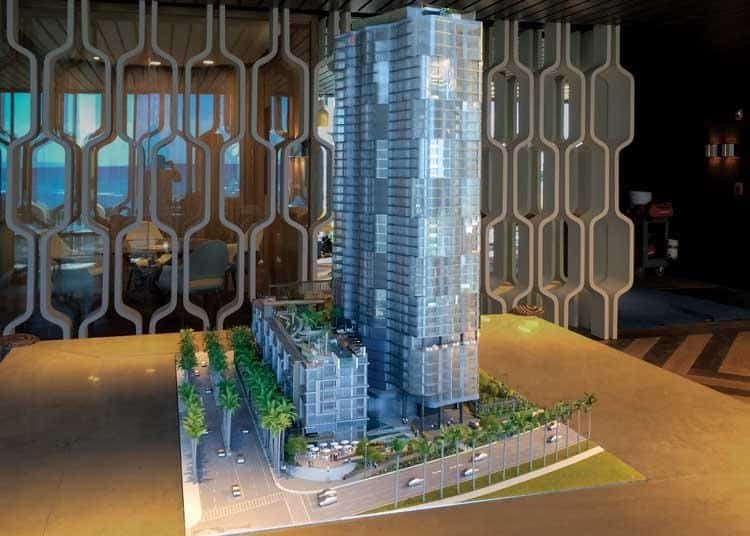 In one corner: a streetscape of downtown Vancouver highlighting Westbank’s proposed luxury residential project at Burrard and Nelson, a curved 56-storey tower designed by Bing Thom Architects. B+B has built models for developments in Hawaii, Zwick says, pointing to a shelf filled with rows of tiny palm trees. “We don’t grow them; we just make them,” jokes the German expat. Zwick, who co-founded B+B in 1969 and looks a decade younger than his 73 years, now has local rivals, but he’s the grandfather of architectural model making in Vancouver. He began working for American clients in the 1980s; that business took off during the next decade, thanks to exposure from Intrawest. But Zwick knows all too well how prone America is to booms and busts. By 2007, as much as three-quarters of B+B’s output went to the U.S. Then came the 2008 crash. Zwick went four years without a single American job, and his staff dwindled from 43 to fewer than 20 today. Westbank and other local clients helped fill the gap, and international customers began trickling back. 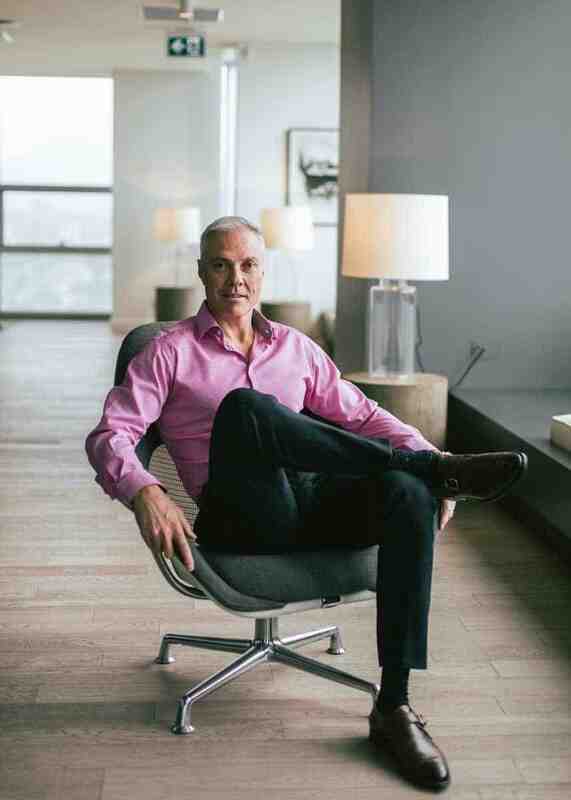 Since 2012, B+B has done U.S. work for Bosa Development, Pittsburgh-based Urban Design Associates and Dallas-headquartered Howard Hughes Corp. Zwick admits that over the past 10 years, he hasn’t chased business south of the border because Vancouver has kept him so busy. “Maybe we should have kept better in touch than we did,” he says. Wise to Canadian expertise, large U.S. contractors have been hiring his firm, Glotman says. Roughly 40 per cent of Glotman Simpson’s work is now for stateside clients, he reckons. Meanwhile, B.C. subtrades have built a clientele down south. For example, Burnaby-based Newway Concrete Forming Ltd. has a Seattle branch. LMS Reinforcing Steel Group and Starline Windows Ltd., both headquartered in Surrey, have outposts in California and Washington State, respectively. Bing Thom Architects (BTA) operates out of a low-slung building in the shadow of the Burrard Bridge, but the 50-employee firm also has offices in Hong Kong and Washington, D.C. Principal Michael Heeney, who joined BTA in 1989, explains that founder Bing Thom designed several pavilions for Expo 86 early in his career. That led to projects in Thom’s native Hong Kong during the 1990s, when BTA also won an international competition to design the new northeastern Chinese city of Dalian.